U.S. home prices in February were up 0.6 percent from the previous month nationwide, according to the Federal Housing Finance Agency's latest House Price Index . Prices for sales guaranteed by Fannie Mae and Freddie Mac  were up 7.2 percent compared to last February, according to this report. 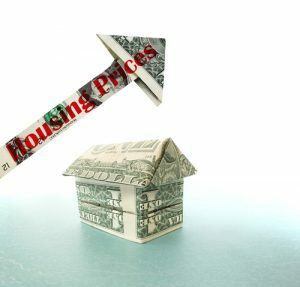 The month-to-month numbers from FHFA were slightly higher than those reported in the latest S&P CoreLogic Case-Shiller Home Price Index , released on Tuesday, which said that February prices were up 0.4 percent from January; they were up 6.3 percent from a year earlier.